Easy flowing Tix Solder melts at only 275 degrees F and yet has the holding power of 4,300 pounds per square inch. 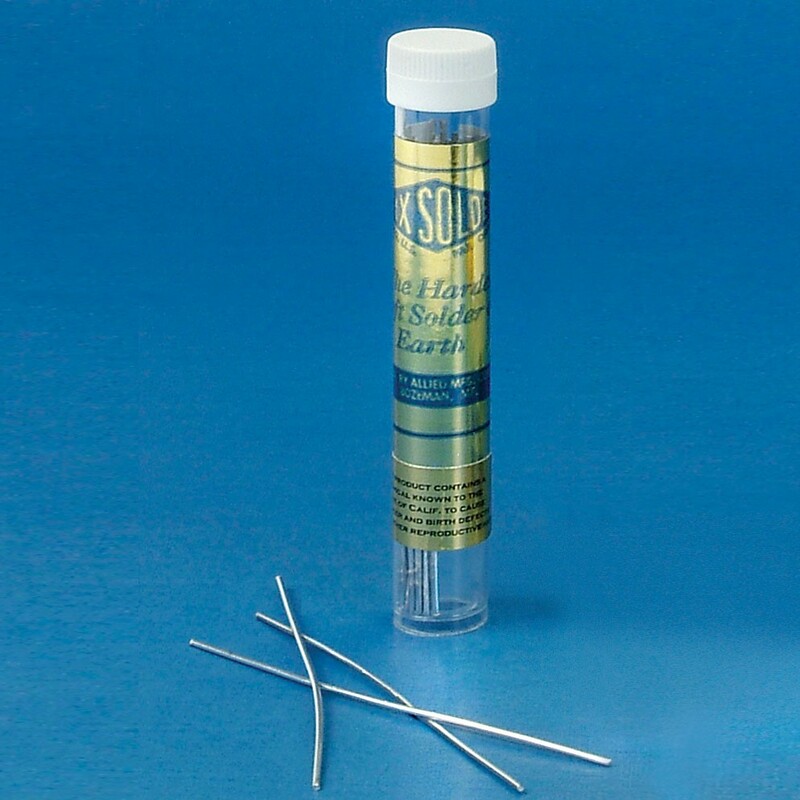 Adheres to all solderable metals and works with soldering iron, gun or torch. Will not tarnish. The jeweler's choice for years. Package of twenty 3 inch long sticks.